INSITE approached Snap to employ our leading-edge design and development services. 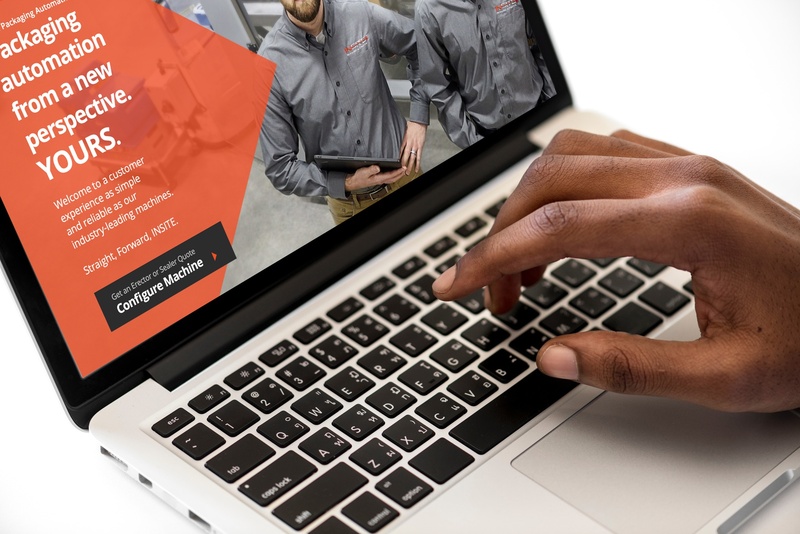 As a new brand in the packaging equipment industry, the client needed a compelling and engaging website that would attract prospective leads and convert them into repeat customers. After meeting with INSITE’s leadership and key stakeholders, we identified a few other important project goals. The client needed their new site to boast high authority and visibility on search engines to compete with their well-established competitors. Moreover, they were seeking an elegant online presence that reflected the simplicity and utility of INSITE machines. With these goals in mind, Snap’s team collaborated with INSITE to create a custom digital marketing strategy that would align the new brand for success. Our strategy development began with a full review of INSITE’s brand and strategy assets. This step ensured that our digital marketing efforts aligned seamlessly with the client’s identity, users and recommendations. Our review also granted us an intimate understanding of the new website’s communication goals, essential visual assets and development path. 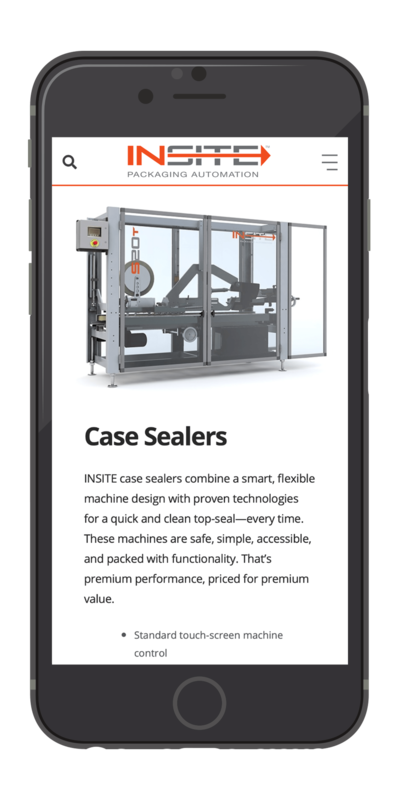 With sound strategy at our back, our next challenge was set: Design and develop a responsive, human-centered web build that communicates INSITE’s expertise and supports sales growth. To begin, our Design Team conducted a robust discovery session with INSITE to create in-depth user personas. These user archetypes played an important role in ensuring that our designs met the unique needs and desires of the client’s ideal users. From there, we worked with the INSITE team to create a detailed sitemap that marked each prominent page structure on the new web build. During this process, our SEO Team optimized each structure to maximize the site’s performance on search engines. Using this sitemap as a detailed blueprint, our Design Team created wireframes to illustrate the specific content, functionalities and intended user behaviors for each page on the site. We tested each of these assets against INSITE’s user personas, implementing engaging images and copy that conveyed the brand’s passion, simplicity and distinct visual identity. Packaging line with robotic arm at work. With our finalized designs in place, we passed things off to our Development Team to bring full functionality to INSITE’s web build. Our developers leveraged the Design Team’s functionality doc to implement the site’s technical foundation. Simultaneously, our SEO Team performed technical SEO to boost the site’s visibility in search engine results and attract qualified organic traffic. We also performed comprehensive quality assurance on the new build to stamp out any technical issues and bugs that could adversely affect its performance or UX. Following a final sign-off from the Snap and INSITE teams, we launched INSITE’s new website into the digital world, generating a wealth of leads and new business opportunities for the brand. 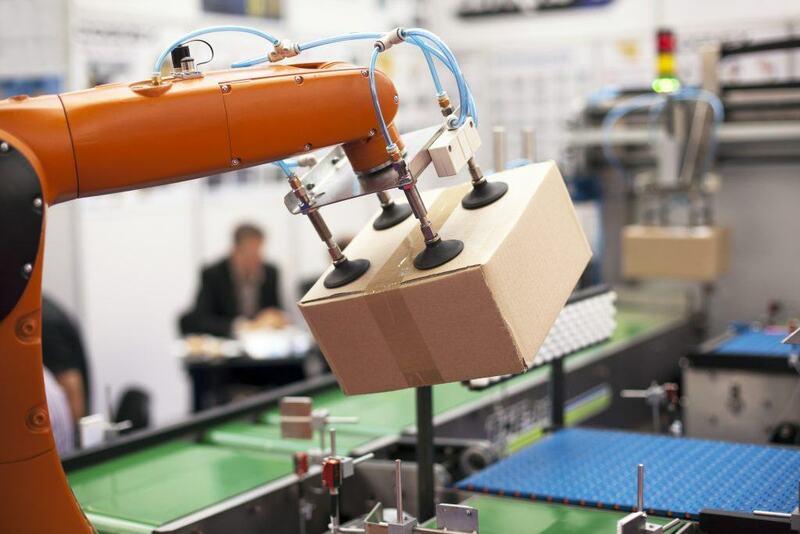 Thanks to its responsive, intuitive site, INSITE machines are finding a home with CPG providers spanning the country, bringing simplicity and efficiency to the automated packaging industry.